Ephesians 4:15 says: “therefore speak the truth in love; so shall we fully grow up into Christ.” Here we are told, in communication, to be both loving and truthful, caring and confronting. 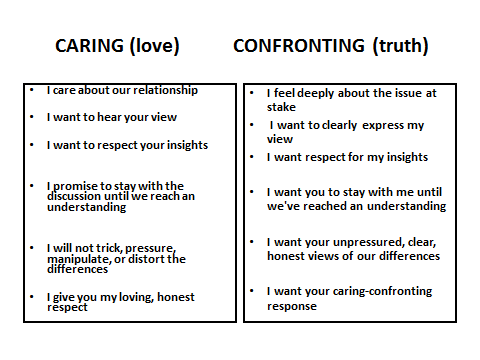 Work at communicating both caring and confronting in the middle of marital or relational conflict. Here are the attitudes to have and hold to.